A few days ago, I asked readers on the blog for their opinion. Is the Saab 9-5 NG a car for everyday use or one of those collectibles usually found in air-conditioned garages? The result of the survey was amazing, and whatever else came to me. Apart from many comments and a lively vote I found in the following days an unusually large number of mails on this topic in my mailbox. All around the 9-5 NG, from people who already own one, or who want to buy one. That surprised me, because I had the feeling that the topic was on the ebb. I was wrong! It's such a thing with the 9-5 NG owners. 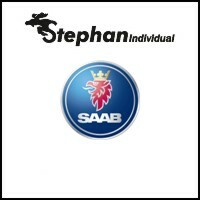 They love their Saab, they spend a lot of money amazingly. Upgrades, improvements, conservation. 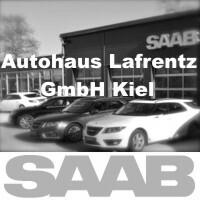 The bills are loose when it comes to the last Saab, and it is written openly about it. A median 4 digit amount is the norm, 5 digit amounts are no exception when it comes to care and maintenance. Or to retrofit the desired equipment. The motivation for action seems to be the same everywhere: the last vehicle of the brand, no chance of replenishment. 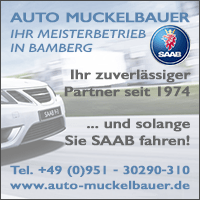 The last Saab is far from being an ordinary used car. Comparable vehicles of the competitors are often traded in half and are on the used car markets in large selection. The 9-5 NG, on the other hand, is a rare and residual king in its segment. The prices are stable, maybe even rising. This is a surprisingly good snapshot and makes me hope for the future. 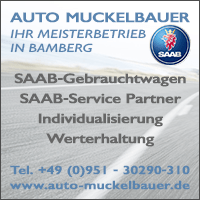 The gratifying commitment of its owners ensures that we will still have Saab 9-5 of the last generation among us in a few years' time. One question, beyond our survey, has been repeatedly emailed in the last few days. 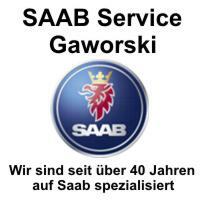 Will 2018 be a remake of "Pilots Wanted", the international Saab 9-5 NG meeting in Kiel? It will be up to date. The final decision will be made at the end of the year, with the Lafrentz family having the last word. But it looks good, and then there are news on the blog. Which 9-5 NG do our readers want? Surprising was the number of inquiries from readers who want to buy a 9-5 NG. I was able to answer almost all mails, even if it took a few days. 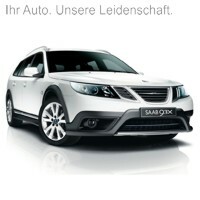 The interest seems unbroken, and that more than 6 years after the last Saab ran off the tapes. The only problem could be the low availability of desired configuration. The trend is clear. Gasoline instead of diesel, automatic rather than a switch. The large panoramic roof is at the top of some wish lists. Unfortunately, it is very rare. The Aero equipment has many friends, but it can be retrofitted without problems. Not quite as important seems to be the drive-sense suspension. There is a willingness to compromise here. That our readers, by a large majority, classify the last big Saab as an everyday car, is pleasing. Because it is true that cars belong on the street. Especially those who wear the Saab letters on the radiator. Showing presence, holding the flag up, that's more important than ever. 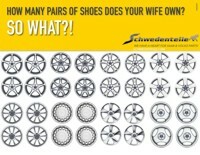 Which applies to all models of the brand, regardless of model range and age. 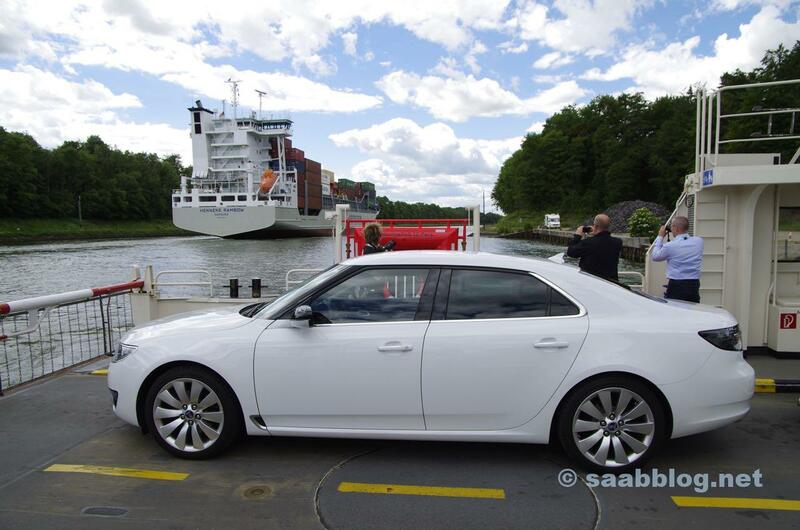 14 thoughts too "The amazing Saab 9-5 NG and its fans"
So I handle it with my 2011'er too. It is an everyday car that is still possible. (A small list of the next wish-stuff, unfortunately, I have already or somehow always ... for example, the abbkneidden inscriptions of the buttons of Navi-, Klima- & Sound unit cloud the "overall impression" but very). 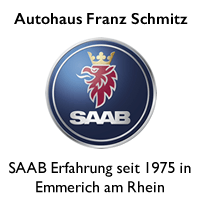 Automatic, turbo, gasoline, panoramic roof, "last newly developed" Saab (to drive as long as possible Saab), but ... with me spec. even ventilated seats (a must)! Our family had a visit from Switzerland this week. He did not know that I drive a beautiful 2011'er. When he saw him in the yard, he immediately jumped out of his Ford Mondeo, hopped around my car wildly and enthusiastically, and for a while he was enthusiastically watching him and showing him in detail. ... and the guy is around the 50! He said he knows the car from reports from back then, was / is a big fan of it, but unfortunately has never seen such a thing in Switzerland. Apparently his visit to us in the north was worthwhile for him! 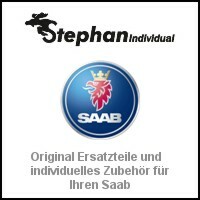 And of course, I am always pleased when others still enjoy the Saab brand! 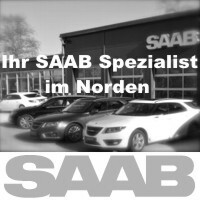 What good is the most beautiful SAAB in the garage if you can not feel it driving us every day! there are about 500 in D, 305 have participated in the survey good odds !! Apple carplay or Android car to retrofit would be a real added value! 100% approval. It would be time. From NEVS is nothing more. Tom? Currently it looks as if nothing could be expected from this direction. 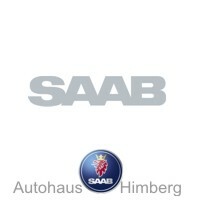 ... nurturing our SAABs and perhaps even "upgrading" here and there. 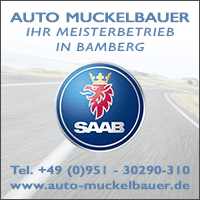 So the money for the old sits looser, the love for SAAB heritage is greater. Maybe not so bad? When Pilots Wanted is reorganized in 2018, I'll do anything to be back. The Lafrentz families are always so beautiful and their hospitality is remarkable. Day after day it's always nice to see curious, admiring and even envious glances at the sight of my 9-5 NG. What could have made this wonderful car yet career. Unfortunately, it was different and so happy owners of such a beautiful and distinctive Eycatchers only the certainty to move something unique in daily traffic. I drive my 9-5 Turbo6 with enthusiasm and conviction in everyday life. Of course, special care and value retention are top of the ToDo list for him. Conservation has been a matter of course, regular and (over) punctual service anyway. Haldex maintenance at the latest all 30tkm. If you take care of the big Swedes and treat them well, then he thanks you with a driving pleasure on every kilometer driven. The equipment fortunately corresponds to my desired configuration. From Harman Kardon sound, panorama roof over DriveSense up to the Headup display. Missing equipment such as rear view camera and lane departure warning / sign recognition and the chic dashboard in mashed metallic was retrofitted by Lafrentz. Deer exhaust & springs and trailer hitch as well. He is the perfect everyday companion for me (I forgive him the slightly higher fuel consumption of the V6), which causes a stir almost everywhere. Not that that matters to me! 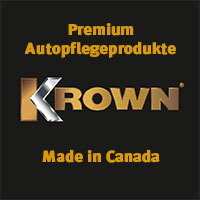 But I would have reluctant to drive a uniform vehicle current production that looks after a short time by several model care and facelifts after "old model". I do not even think about what would happen if someday he is not anymore. But I do not think so far. And the fear of accident, wear or total loss is also no reason for me, the 9 5 rather not in everyday life to move. I enjoy driving with him too much. I've been driving an 9.5 Aero Turbo 6 XWD for a few years now and have the same questions as almost everyone: driving or storing? I solved the problem quite pragmatically: half-yearly approval. In winter I drive my "old" 9.5 station wagon, in summer the 9.5 NG. 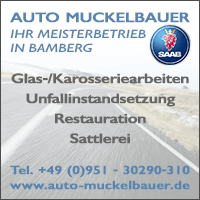 On the one hand I have the driving pleasure and on the other hand I do not drive too many kilometers. we were last WE at the Int Saab in Dinslaken. Great occasion. One counted seven 95 NG, one of them a SC. That's a very good rate. We were also traveling with my 95 NG TiD. Unfortunately, he had twice a total failure on the highway! No really great experience at 170 Km / h overtaking and then suddenly no more power! Anyway, it seems to be a problem of tank ventilation. (the tank was half full both times!). Let's see if my Saab garage finds out. 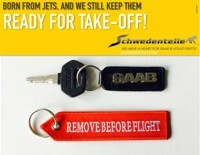 Or does anyone from the Saab faction know more about this grievance? ( aero50@gmx.ch, I'm glad for every tip) The soot particle filter is not, we've already checked. Otherwise, the 95 NG is already a really great car. You drive very relaxed and really confident, has space without end and so much of individual. We have not encountered a second 1200 NG on the entire 95 km. Very gratifying that the enthusiasm for the 9-5 NG does not stop. Probably almost all of the vehicles registered outside Sweden already in collector's hand. In Sweden, there are certainly still some vehicles that are driven by "normal drivers", and sooner or later they will part with their vehicles. How many of the 11.280 cars have actually been sold in Sweden? I guess, 20 - 30%? I just tried to find out, but could not find the info by model in the registration statistics.